Last updated Saturday, 7 January 2017 at 06:28:06. First submitted Tuesday, 17 December 2013 at 14:31:10 by Paul N Mounsey. Imported from Campanophile entry 171530 (submitted by ). 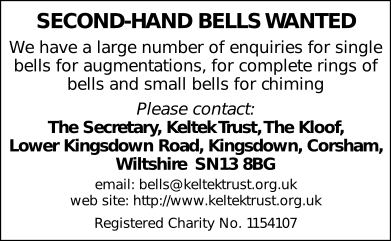 Printed in The Ringing World, issue 5359, page 35. This performance has been viewed 624 times.